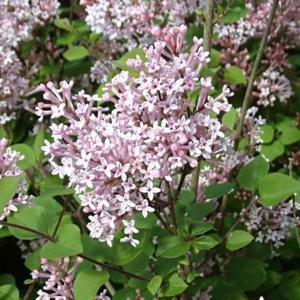 Medium sized, compact shrub producing panicles of very fragrant, lilac-pink flowers in May and often again in late summer. Does not sucker. From cuttings or by layering. Excellent for smaller spaces and valuable for its repeat flowering. Raised by G. Morel in France and introduced in 1974.